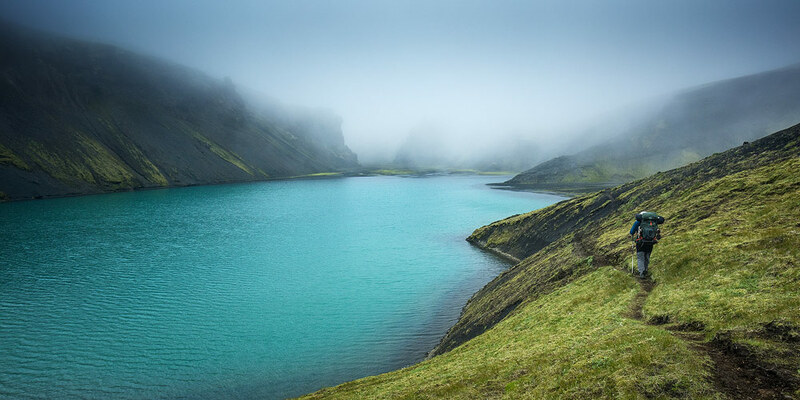 Hidden away far from civilisation in the shadow of the Vatnajökull icecap is a jewel of the Icelandic Highlands; Langisjor, a 20km long glacially fed lake with a spine of moss covered mountains running along its southern shore. Langisjor is as spectacular as it is remote with only a couple of 4x4 tracks going there. 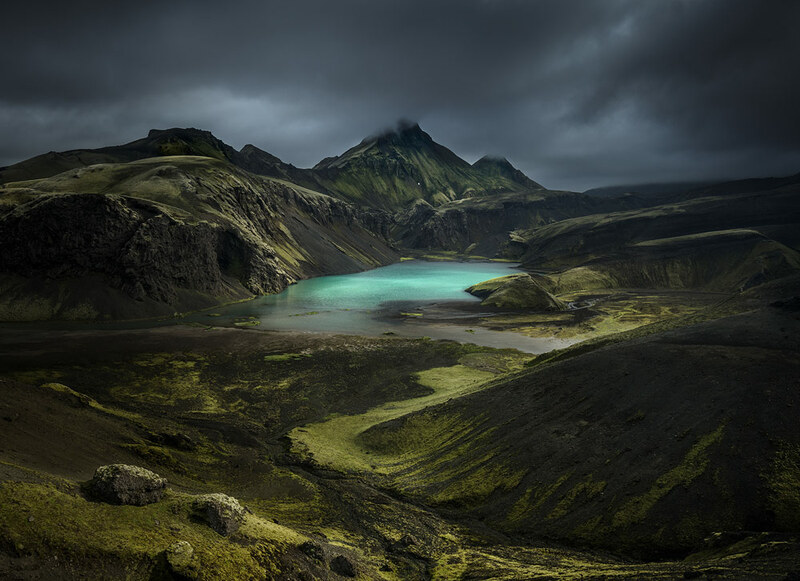 The hiking route runs along the Fögrufjöll mountains on the southern shore of Langisjor with amazing photographic opportunities. Along the way we will be wild camping at remote sites. There will be no showers or home comforts just endless views and Icelandic weather! Friday – Meet in the evening at Reykjavik campsite. We will camp at the campsite - this familiarises us with the tents and stoves and crucially makes sure nothing is forgotten before we are in the middle of nowhere! Saturday to Tuesday - We will be picked up on Saturday morning to take a Super Jeep from Reykjavik to Langisjor. We will be driving unbelieable off road routes through the Highlands to get to our destination. In the afternoon we being our hike! Then for 3 days we will hike the length of the Fögrufjöll mountains attempting to capture the landscape in a range of light and conditions. For the entire route we will be within close range of excellent photographic opportunities ensuring that when the light comes we will be there to capture it. 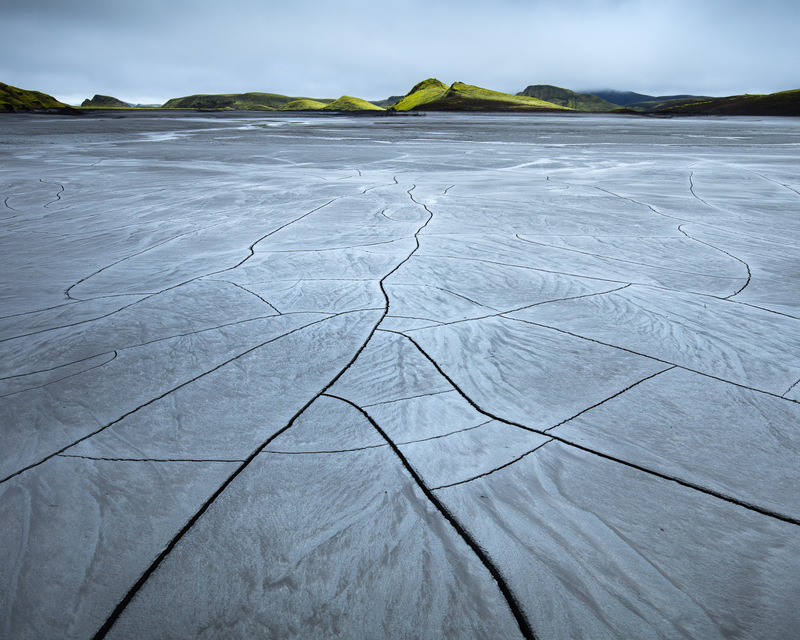 Wednesday and Thursday – For the following couple of days we continue on towards Uxatindur. 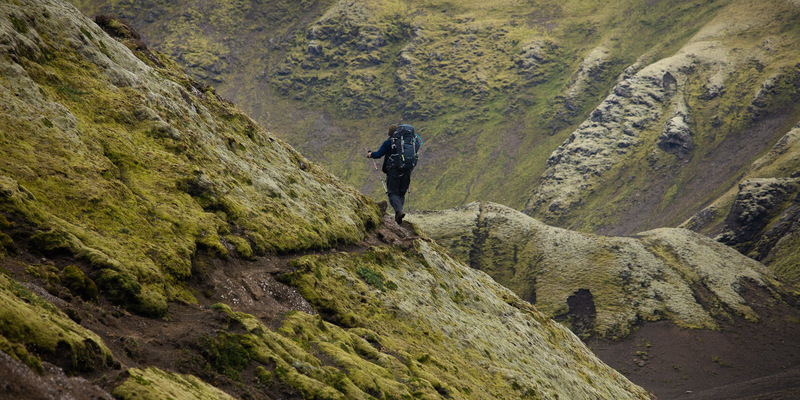 The route is remarkable - the best I have hiked in Iceland, with numerous photographic opportunities. Uxatindar itself is the star of the show. There are plenty of viewpoints and foreground choices to work with and we will be taking our time to make sure we do justice to the location. On Thursday around we get up early to hike and shoot before catching our Super Jeep back to Reykjavik in the afternoon. That evening we'll eat a big meal and celebrate! We'll spend the night in a private room at the city hostel before flying home the following day. I will be on hand at all times to help you with your images should you wish. With a small group size (maximum 5) there will be plenty of opportunity for 1-to-1 time. We'll cover technique, lighting and composition making sure you come away with incredible shots. The level of independence and tuition is entirely flexible, depending on individual interests and needs. I can provide sleeping bags, sleeping mats, cooking kit and mountain tents. You will need to provide the remainder of the kit yourself. The equipment I provide is amongst the best currently available; Rab Neutrino 400 sleeping bags, Thermarest Neoair mats and 2-man Terra Nova Ultra Quasar Tents. You will be expected to carry all of your own kit including half of the tent. You will also be required to share the provided tents unless you wish to carry a 4-season tent of your own. This is to ensure that, regardless of the weather, everyone will be safe and protected overnight. If you prefer to use your own sleeping kit then I recommend a sleeping bag rated to 0 degrees and an insulated inflatable mat. I will provide an in-depth guide and equipment list prior to the start of the trip. 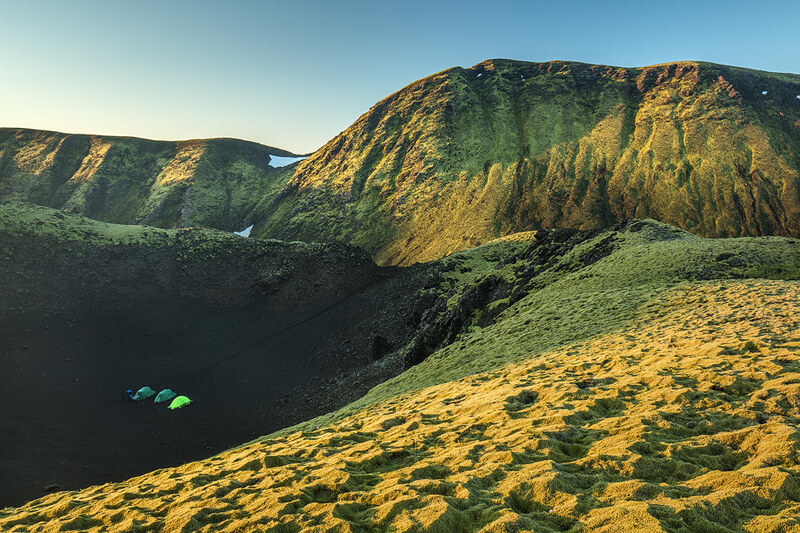 This route is more challenging than the Laugavegur (although no less spectacular!) and for that reason you should have some hill walking experience and a good degree of fitness! The total distance is approximately 35 miles. We may hike up to 10 miles in any given day with a couple of shorter days. There is one easy river crossing on route where you will need to remove your boots. You may wish to bring lightweight sandals for this purpose. The route incorporates many short ascents which are not technical. You will be carrying a backpack which makes hiking slower and more challenging. Whatever the weather the ‘always outdoors’ approach ensures that we don’t miss out when the weather comes good. August gives us the best possible chance of stable weather and great light, but rain is still to be expected and all part of the experience! 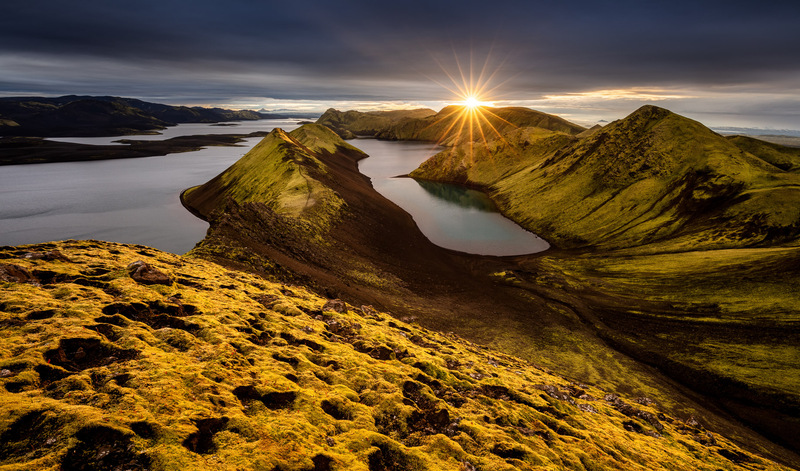 The trip does not include flights or the bus transport from the airport to Reykjavik campsite (around £30 return Flybus+ ticket will take you to and from the Laugadalur campsite). You will also require travel insurance. The total price of the workshop is £1300 (GBP). A £390 deposit is required to book with the remaining £910 due three months prior to departure. This workshop is fully booked. Please sign up to the mailing list below or drop me an email. If you would like to hear more about upcoming workshops and offers please sign up to the mailing list.